Drexel University’s cooperative education program, also known as the co-op, has been helping students gain professional experience and networks since 1919. This year’s Cooperative Education Awards, held May 24 and sponsored by the Steinbright Career Development Center, celebrated the best of Drexel’s historic co-op program by honoring the extraordinary students, employers and faculty who have contributed to the high standard of excellence of the co-op program. This year marked the 27th Cooperative Education Awards. Drexel, already celebrating the 125th anniversary of its 1891 founding this year, will mark the centennial of its own co-operative education program in 2019. One of eight exceptional students honored at the ceremony as co-op award winners represented the LeBow College of Business. They were chosen out of 149 nominated Dragons. Alexander Bock, an operations and supply chain management major, was recognized for his skill and performance on co-op with Independence Blue Cross. During his co-op, Bock applied skill in data organization and identifying trends and opportunities related to the insurance industry and helped build and, with the legal team, implement yearly organization vendor contracts, among many other accomplishments. The students were honored alongside two employers of the year: The U.S. Army Research Laboratory of the U.S. Army Research Development and Engineering Command, or the Army’s corporate laboratory, and SAP, the world’s third-largest independent software manufacturer and an industry pioneer in cloud computing and e-commerce business network development. 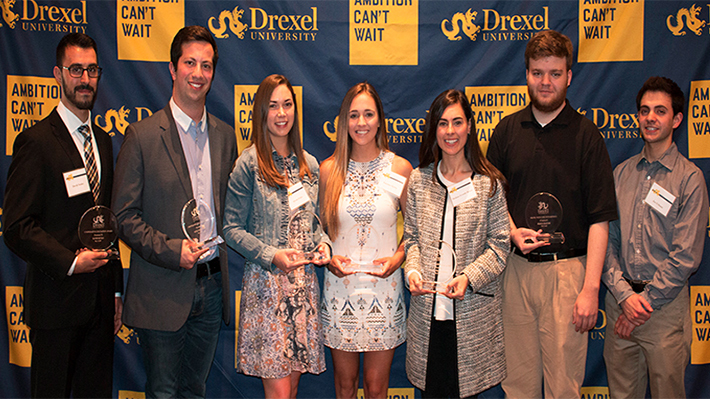 Read the full story and view full list of winners on the Drexel Now website.